Belgian designer Jos De Mey was a leading figure in the 50s furniture scene, an all-round artist and designer with a great eye and vision. In the 50s and 60s he had his own practice of interior architecture, color advice and furniture design, later on he was active as a painter inspired by Magritte, Esher and Breugel. 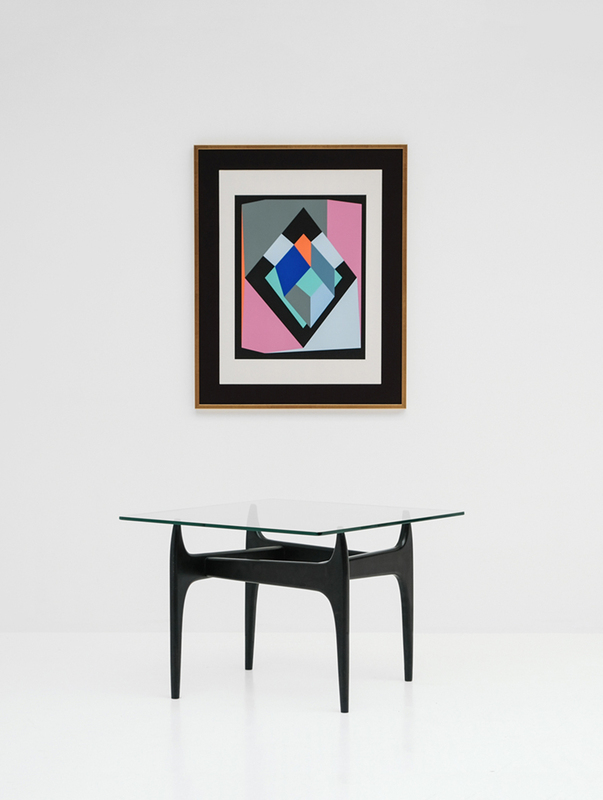 De Meys designs where a gentle representation of modernism. His works showed a characteristic feel, that found the perfect balance between strong and smooth shapes. 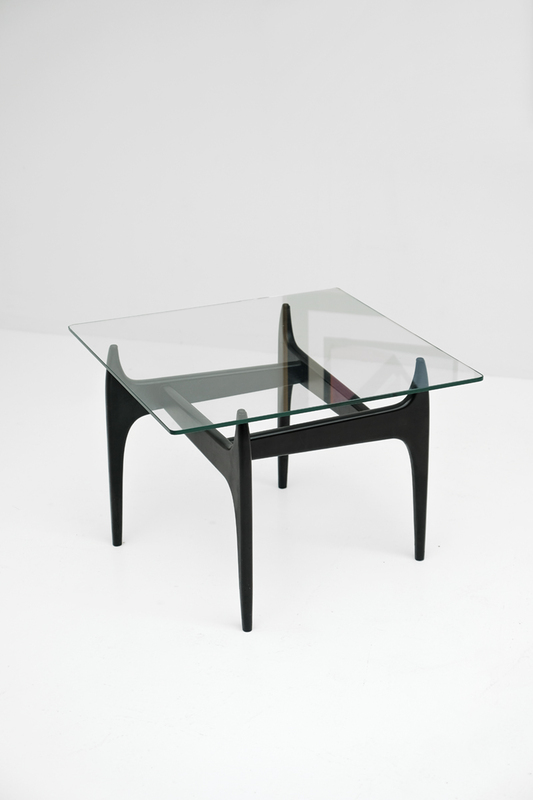 This table was designed and produced by Luxus in the mid fifties. 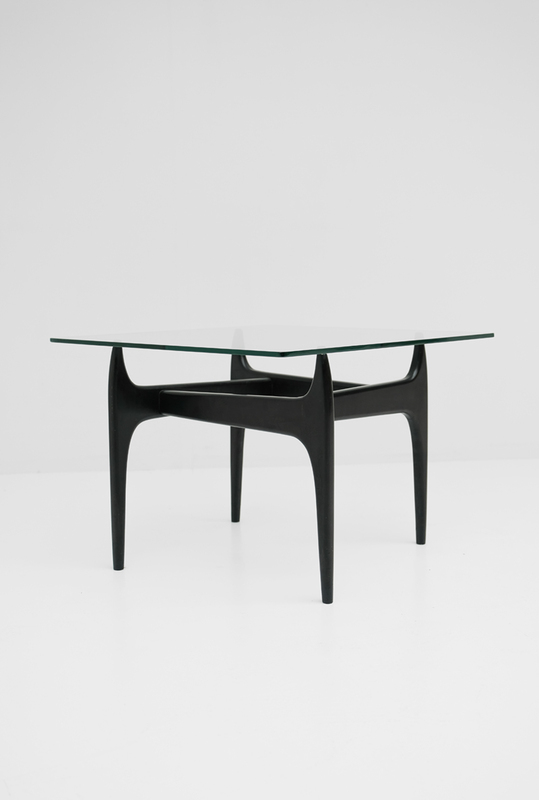 Much less well known than the products of Van Den Berghe Pauvers, is the work De Mey did for Luxus , a firm based in Kortrijk. 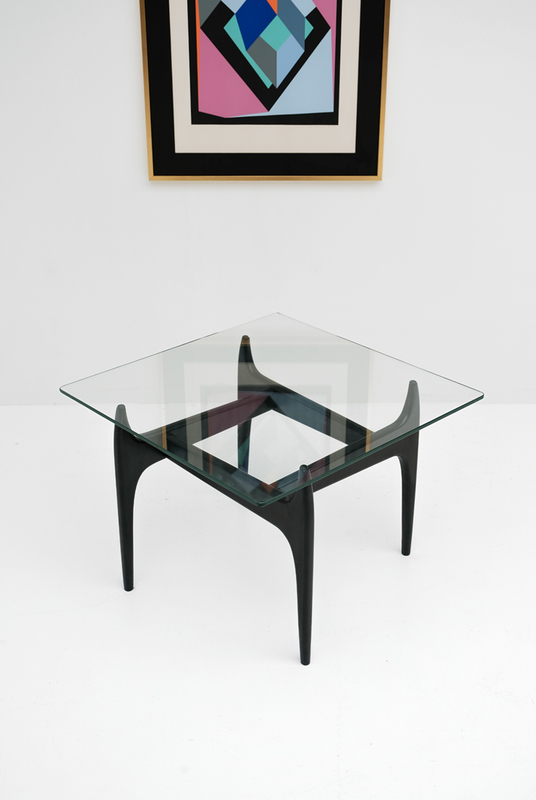 The coffee table has a base in black lacquered wood that carries a square glass tabletop. 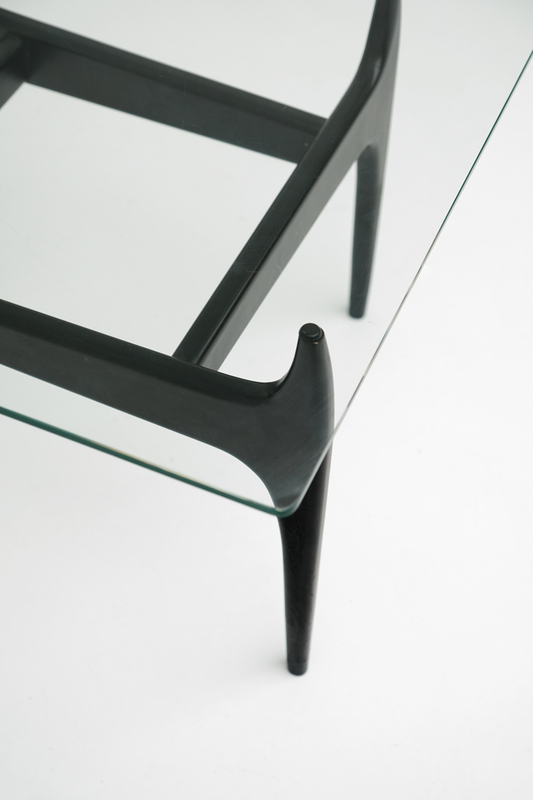 The glass is supported by 4 original rubber tops that are added to the base . A design that is beautiful in its simplicity.